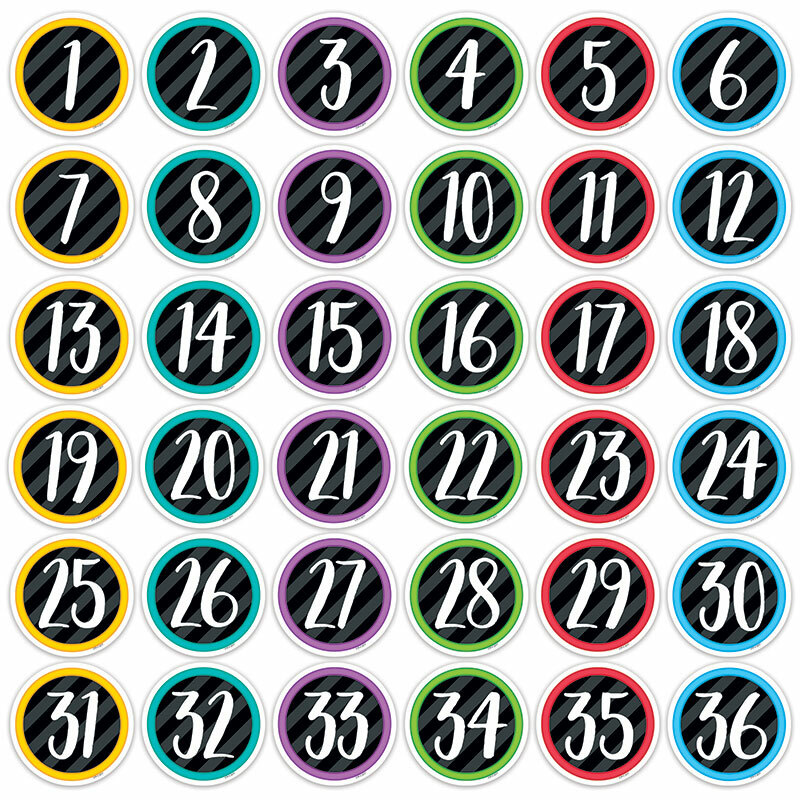 These Student Numbers 3" Designer Cut-Outs are a time-saving classroom management tool! Keeping your classroom organized and running smoothly is quick and easy when you use these pre-made cut-outs to label cubbies, desks, folders, lockers, and more, with students' assigned numbers. The 3" size makes them great for use in a pocket chart, as a "student stick" (by gluing each one to a craft stick), or in a bulletin board display for assigning students to centers. The design of these student number cut-outs makes them easily viewable from a distance. These cut-outs are such a simple tool that can be used in so many ways! 36 pieces per package. Includes numbers 1 -36.